The Capital’s most polluted season is also its most beautiful. Walking season in Delhi begins with the saptaparni. The tree itself may be unrecognisable to most, yet there is hardly a soul in Delhi who would not be familiar with its heady fragrance, strong enough to pervade even the toughest pollution mask. These flowers that perfume the air only bloom as the days begin to get shorter, when standing under direct sunlight is no longer an unbearable proposition, when the fans that have laboured through the summer and monsoon begin to take longer breaks with hibernation in sight. Saptaparni tells us the winter is arriving. And for the walker in Delhi, it brings glorious tidings. But like everything in India’s capital, the saptaparni’s fragrance comes with a catch. These days, the bloom does not herald winter as much as it does a season of pollution and smog up ahead. Even before Delhi’s air hung thick with lifespan-threatening particulate matter, the saptaparni was known by its other name, Shaitan or the Devil’s tree. Its heady scent, similar yet even stronger than the raat ki rani, is also dangerous – people susceptible to allergies are immediately set off by the smell. Doctors believe asthma patients (a rapidly multiplying group in the Capital), develop breathing problems if they spend too long under the tree. If Delhi had an official flower, this would be it – an unbearable headache for some, the signal for a season of feasting for others. From Mehrauli, where the Qutb Minar stands tall to the British-built New Delhi, the Capital is an eminently walkable city for at least half the year. But the pleasures of walking fort walls built centuries ago or hearing the sounds of traffic recede as you wade deeper into a city forest are not shared equally by the city’s inhabitants. To begin with, the freedom and leisure to walk itself is limited to a few – barely any paths in the city for instance, are disability-friendly. Not everyone can access the historical information that deepens one’s appreciation of the city, because this material is predominantly for English or Hindi readers. Of late, anyone with breathing problems knows just how hard it can be to simply walk down to a metro station, never mind up an ancient hill. More than anything else, occupying space in Delhi is gendered. I have walked through much of the city, past monument and forest, at all times of day and night, alone. For women in the city, many of whom have to deal with harassment in their daily commute, this freedom simply doesn’t exist. Unless that is, you can find a group of walkers. In this regard, Delhi can sometimes excel – especially if you have money to spare. Check any weekend after the Saptaparni has begun to bloom and you will find scores of heritage walks, taking you to the oldest parts of the city, regaling you with tales of the Delhis that once were. The wonderful Delhi Walk Festival, with hundreds of curated walks all over the capital beginning November 2, is a useful sampler. But the walks themselves will carry on until Holi, when the rays of the sun begin to feel harsh once more. I began walking in Delhi, ironically, thanks to a visit to another city. My entire professional life, I never had weekends. Journalism usually involves six-day weeks, with one day for household chores, for meeting friends or family, for working on side-projects and, most importantly, catching up on sleep. Soon after I moved to the city, I realised that I was spending almost all of my one holiday at home. The only promise of a walk was a stroll to the nearest dive bar. 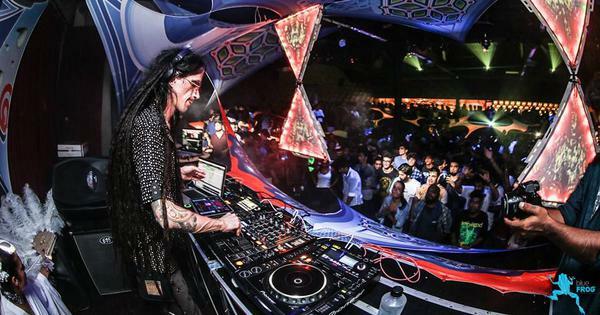 I had walled off large parts of Delhi – its history, music, and culture. The sudden fortune of visiting Istanbul changed that. Armed with two wonderful books, Philip Mansel’s fascinating history of the city and Strolling through Istanbul by Hilary Sumner Boyd and John Freely, I spent five days in an Ottoman dream, stumbling from monument to garden to aqueduct, seeing mythical rocks and the treasures of myth-making sultans. When I returned to Delhi, armed with all this knowledge about another Persian empire built by Turkic people, I wondered why I wasn’t as familiar with the one that had been built and then crumbled around me. 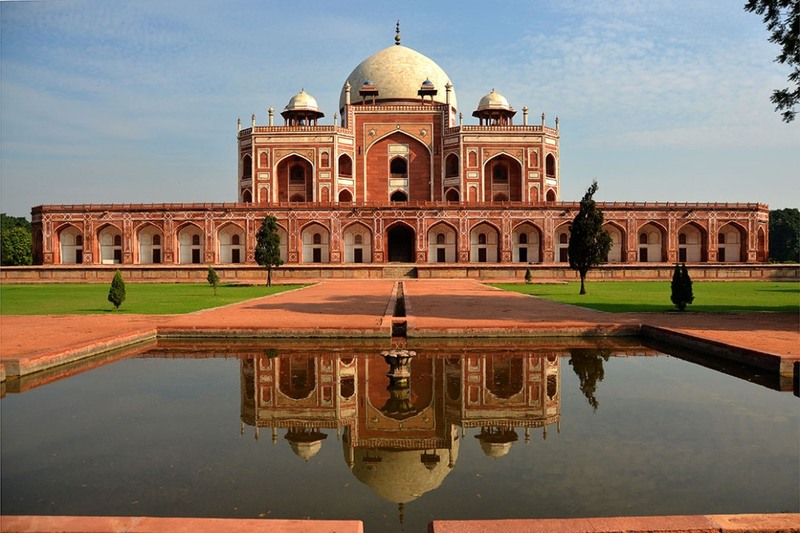 Surely Delhi, of the Red Fort and the Jantar Mantar, Humayun’s Tomb and Jahanpanah had just as many stories to tell. Indeed, it does. You just have to commit yourself to seeking them out. On my day off, I decided to go see something new, before I began the cycle of housework, naps and drinks. 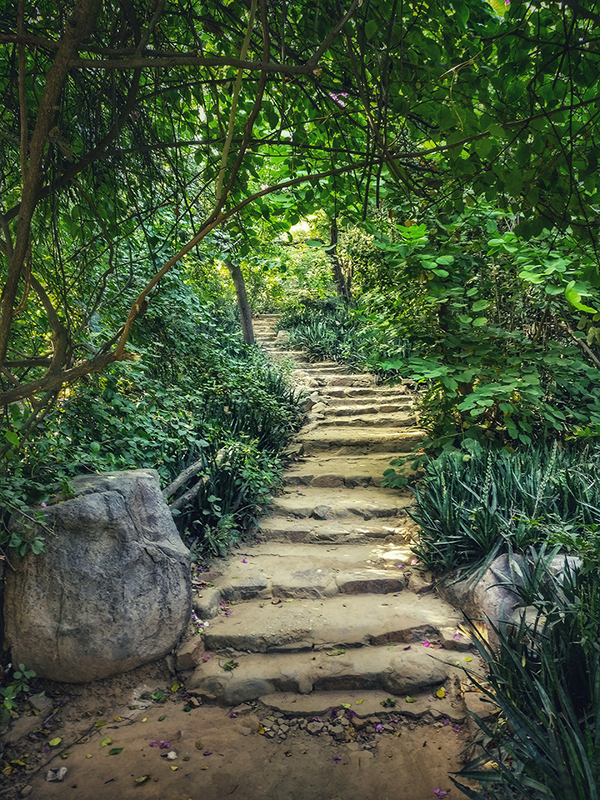 Half a decade later – I wasn’t able to take that walk every Saturday, but three out of every five I could be found scrambling up an old hillock, marvelling at a domed ceiling or sitting in a verdant semi-forest. Still, I often feel like I have barely scratched the surface of what the city has to offer. The iconic spots are easy to keep going back to: Humayun’s Tomb is nearly as magnificent as the Taj, the Lodi Gardens are the best antidote to an evening in a crowded mall, Sanjay Van can make you forget you live in a dirty city, and the Qutub Minar is still the most impressive building in the city, more than 800 years later. But there are also smaller pleasures: the resplendent greenery of Ghiyas-ud-Din Tughlaq’s fort cursed by Nizamuddin, the waterfowl exhibit at the Delhi zoo that opens every monsoon, an open building in Khari Baoli where you can see all of Chandni Chowk, right up to the Red Fort and the beauty of the dome at the tomb of Jamali Kamali. Historian Sohail Hashmi’s heritage walks are a good way to begin too. 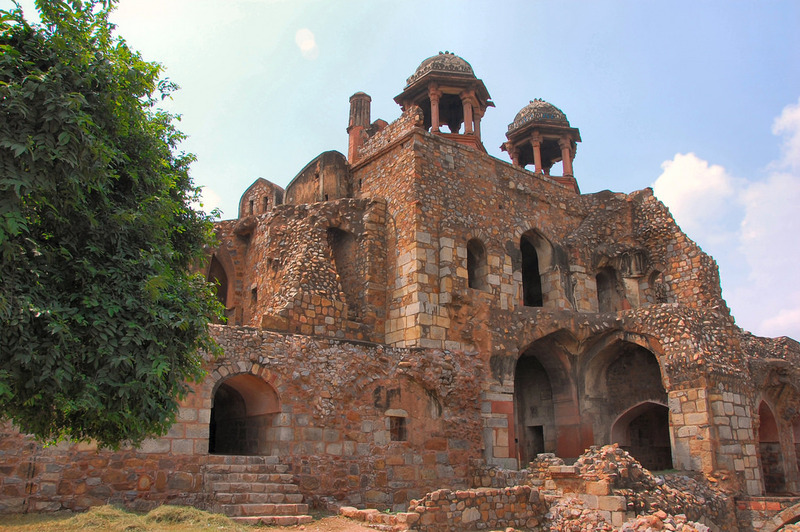 He structures his season chronologically, beginning with the oldest Delhi in Mehrauli all the way up to the British. 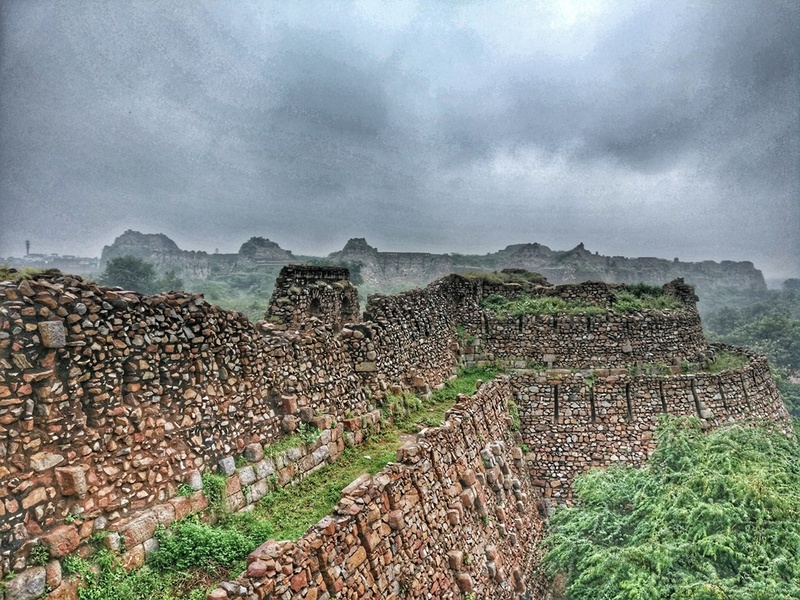 Eventually I began to linger longer at places that Hashmi introduced me to, seeking out far-flung monuments and gardens that wouldn’t fit into the route of a heritage walk. Delhi must be one of the most written about cities in the world, something I discovered along with the fact that its residents are always late. Waiting for friends to show up to walking plans that we’d made together, I began carrying books on Delhi with me. Over time, I realised early morning walks aren’t everyone’s cup of tea, but the British had done a good job of adding lawns to the Mughal gardens and green spaces so the books came along then too. RV Smith’s tales about the city, the relatively accessible histories about the Capital in the Delhi Omnibus, Shamshur Rahman Faruqi’s beautiful and massive novel, the Mirror of Beauty (which if you pick up, do read while sitting in front of a historic monument that takes you into the past, I devoured Abraham Eraly’s Mughal books while sitting on the lawns of Purana Qila). Pradeep Kishen’s Trees of Delhi, in a city that is full of greenery and has a history of planned gardens, it is full of fascinating secrets. But while books improve walks, you don’t have to read about the city to enjoy walking in it. You don’t even have to go searching for some far-flung monument to get started. A post-ice cream walk down India Gate’s lawns, can be a great beginning. New Delhi with its leafy avenues and wide sidewalks makes it easy to get started. 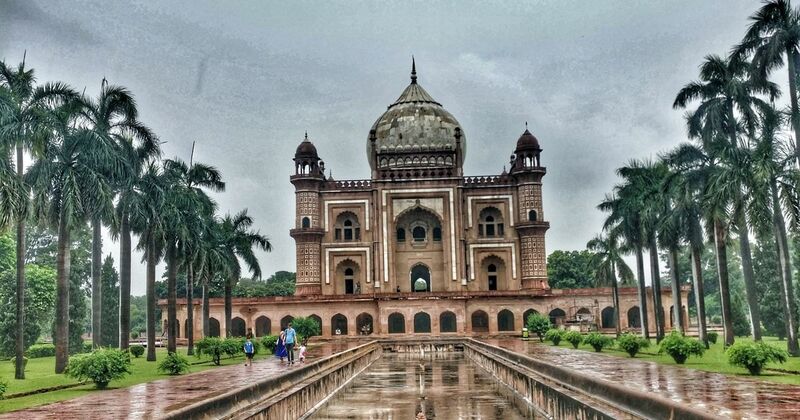 Get off the metro at the Khan Market station and stroll into Lodi Gardens, or pick Jor Bagh and treat yourself to the delight of Safdarjung’s tomb. If you’re visiting Connaught Place sometime in the week, why not pop down to Jantar Mantar – and chance upon the wonderfully hidden Agrasen’s Baoli too? Delhi is not always the most inviting city to an outsider, particularly when it’s summer. But the saptaparni doesn’t discriminate and if it has done its job right, its fragrance will serve as a reminder to do just one thing: go outside.